Canned dog food is a great way to add novel proteins and variety to my dogs' diets, and Wild Calling makes some really awesome single-protein choices. Hoppy's is a rabbit-based canned dog food, and a lot of dogs find it irresistible. It's great for dogs on elimination diets, and those with allergies to the usual poultry, beef, and pork ingredients found in most pet foods. I feed my dogs a rotational diet with as much variety as I can cram in without upsetting their tummies. They're all pretty tough to upset, so I get to have a lot of fun researching, finding, and trying new things. Wild Calling uses chicken fat in all their dry foods, which I avoid due to Brisbane's poultry allergy. When I asked, I was told that the company uses clarified chicken fat that contains no protein and therefore cannot trigger an allergic response, but I'm still avoiding it. Having read in great detail the ingredient lists for over 800 different dog foods, I can accurately state that almost all dry dog food contains chicken ingredients of one sort or another. Sometimes I feel like I'm avoiding in on principle, but the real issue is that I don't actually trust the food company, the production plant, and every single party involved in the production of the kibble to make sure that there isn't any chicken protein in the chicken fat. I'm suspicious like that. Like most awesome grain-free foods, Wild Calling products are encrusted with marketing hype about dogs running wild in the mountains, and excessive uses of the word "wild". "Nothing wilder!" What does that actually mean? How do I use "wildness" to determine the quality of a food? Like most pet food companies, Wild Calling uses a co-packer to actually manufacture their food. The Wild Calling company and brand is owned by an individual family, but the food itself is produced, packaged, and shipped by a facility owned by someone else. This was a bit of a surprise to me when I read about it in Dog Food Logic, most pet food companies don't actually own their own pet-food-making-factories. Evanger's is the company that actually makes Wild Calling's canned foods. This means that an issue with Evanger's equipment of production process could result in a Wild Calling recall. Evanger's is a company with a not-so-stellar reputation, so at least a few really cautious people won't use Wild Calling products just for that reason. This food is made from 96% rabbits. How cool is that? 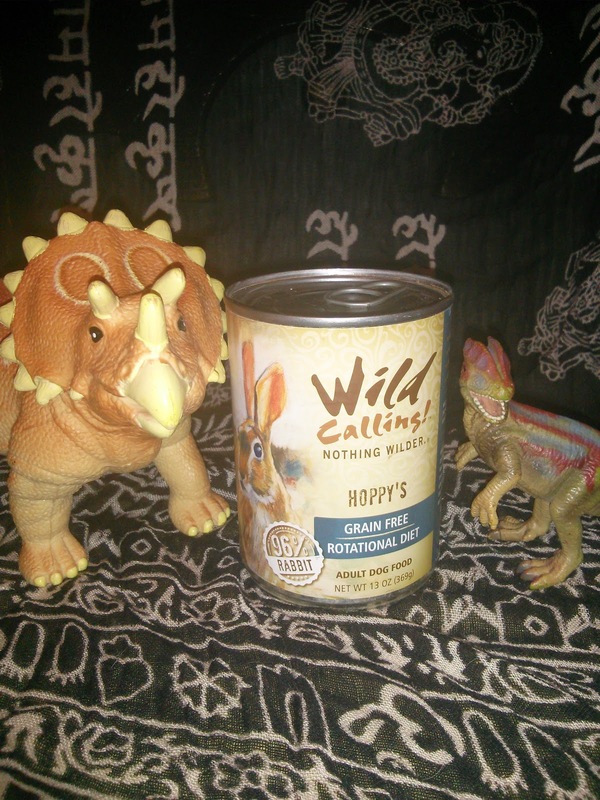 Some Wild Calling canned foods have a ton of fat and not so much protein, but Hoppy's is one of the really good ones. I usually end up spooning this stuff into Kongs and freezing them. Sometimes I used it to bribe Ru into consuming a few more calories. Not Briz though, if Brisbane won't eat we have a medical emergency. 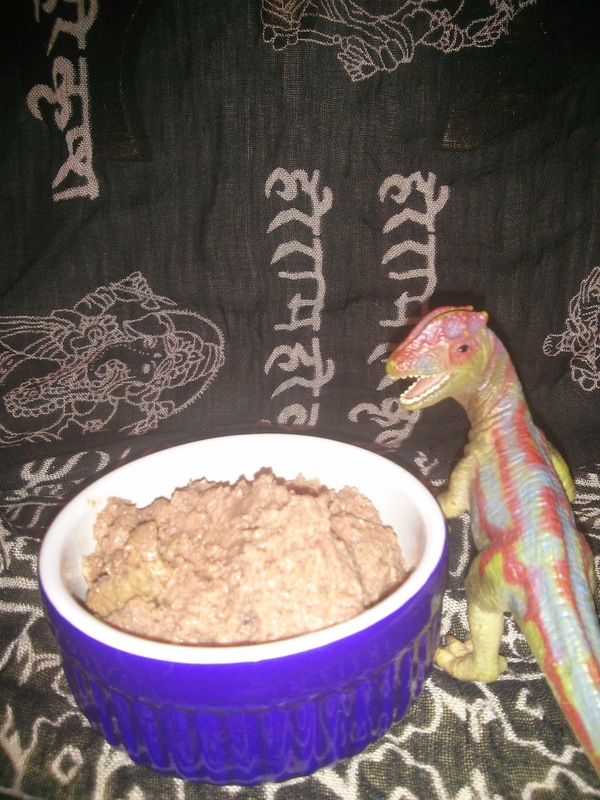 I'm one of those "really cautious people" when it comes to things like this, so I wouldn't feed this food. I'm glad your dogs like it though! Yay! I love comments! I totally understand the concern with Evangers and I wouldn't choose anything packed by them as a staple, but I figure a can or two split among them over a month is probably not going to hurt anyone. I'm the same way, that's why I like rotational feeding. I think the reason humans don't have to worry as much about eating "complete and balanced" is because we don't eat the same thing every day.